Séb will share his love of Beaune with you, Cyrille will give you a taste of regional specialties, Emilie will take care of your every need...The entire team is looking forward to your visit. Feel welcome in the land of fine wines! Stop at the Novotel Beaune, fully renovated at the beginning of 2019, to explore the capital of Burgundy wines. Our multilingual staff will give you a VIP welcome. 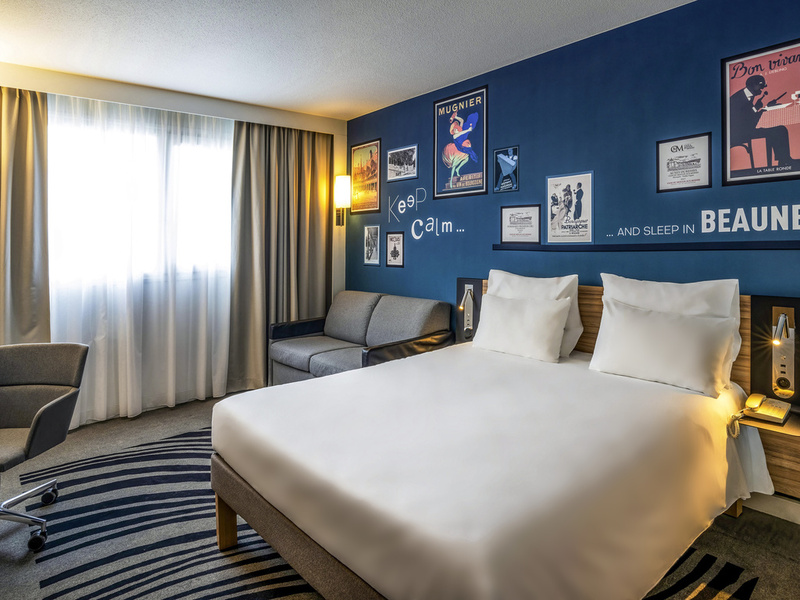 Easily accessible from A6 and a few minutes from old Beaune, this 4-star hotel offers 127 spacious, soundproof and air-conditioned rooms with WiFi, bar, restaurant with terrace, gym and children's play area.